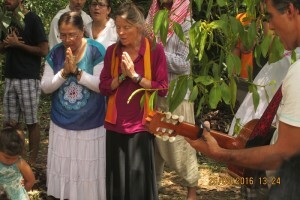 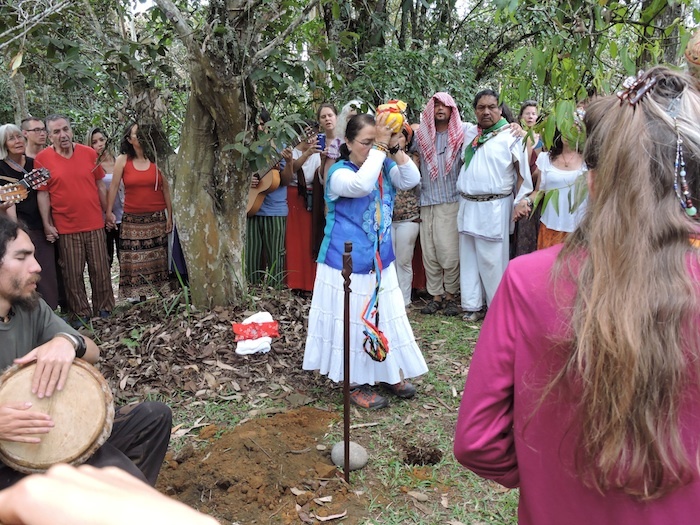 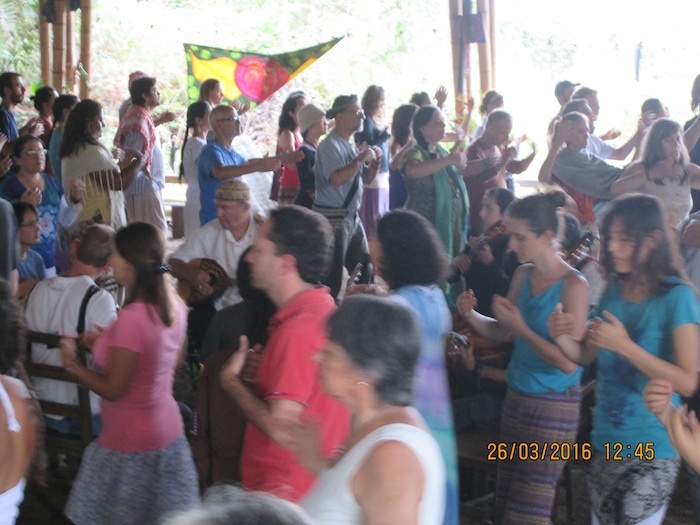 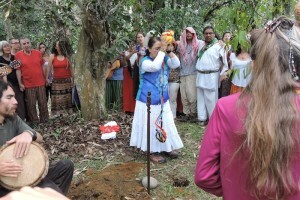 Vase planted by Beatriz Giraldo, Darvesha Victoria McDonald, Jorge Calero, Pir Shabda Kanh and a large international group of 170 devotional people on March 26, 2016. 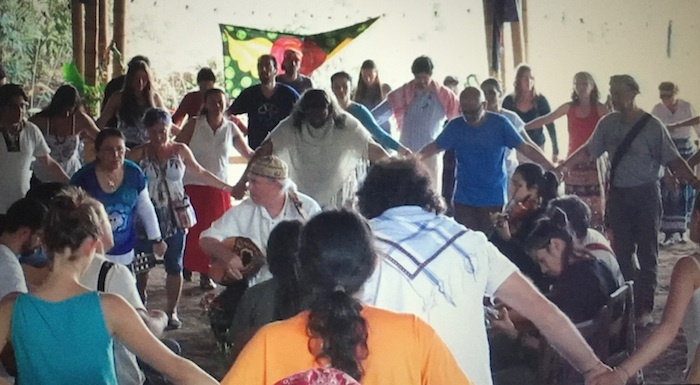 Before I traveled to Colombia, I contacted Jorge Calero at the Eco-Village Atlantida in Cajibio, Colombia and he welcomed the idea of me planting the Vase in Atlantida, an intentional community and sustainability center, during the 8th Dance Leaders Training and Sufi-Seshin with Pir Shabda Kahn, spiritual director of the Sufi Ruhania International and Murshida Darvesha Victoria McDonald, Chair of the Guidance Council for the Dances of Universal Peace International. 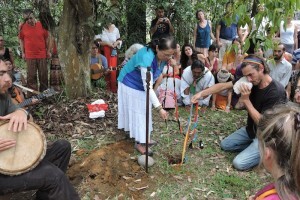 The hole was prepared before I arrived by Jorge Calero and some attendees. 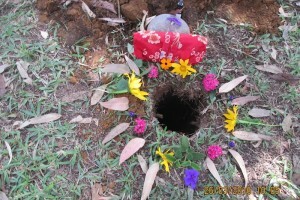 Three people from the same group helped me to bring wild flowers and leaves from the area to put around the hole, and to make some prayers and offerings for peace. 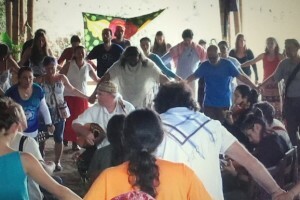 Pir Shabda and Darvesha led Buddhist Dances that morning in the “Maloca,” a traditional place to gather and pray and I put the Vase in the center of the circle. 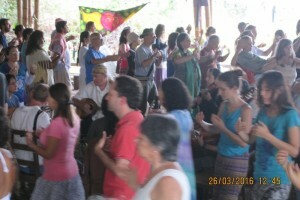 They invited me to talk to the group about the Peace Vase Project and to lead the Heart Sutra Dance. 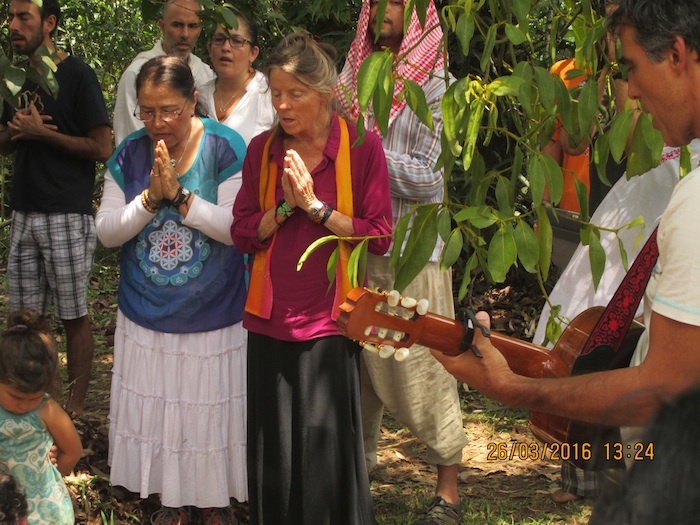 Then, Pir Shabda started chanting Om Mani Padme Hung and we started the procession with all the attendees to plant the vase. 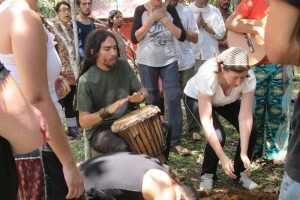 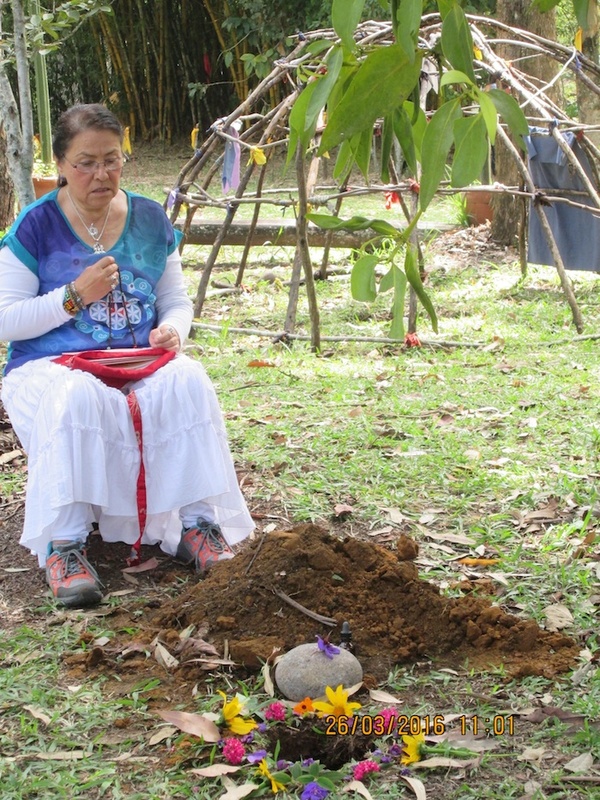 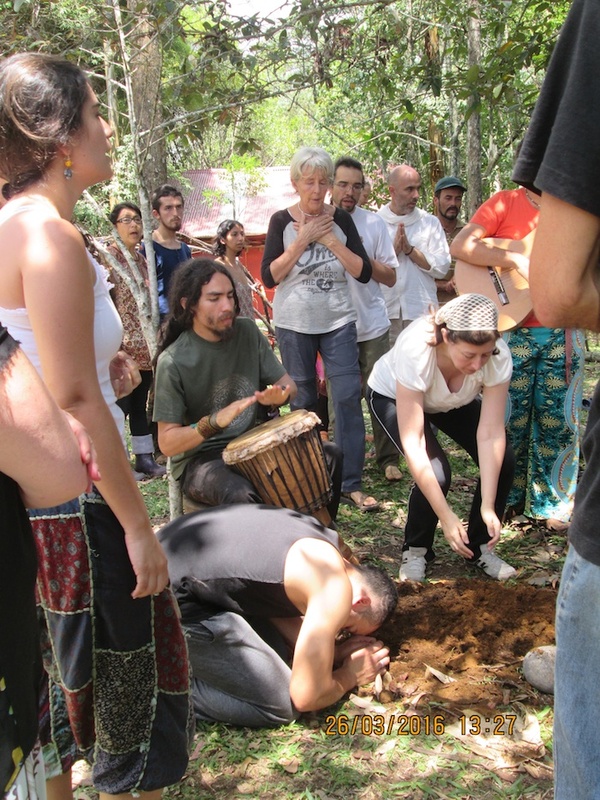 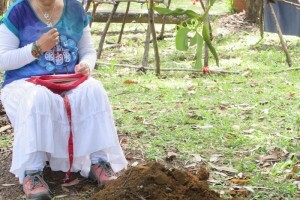 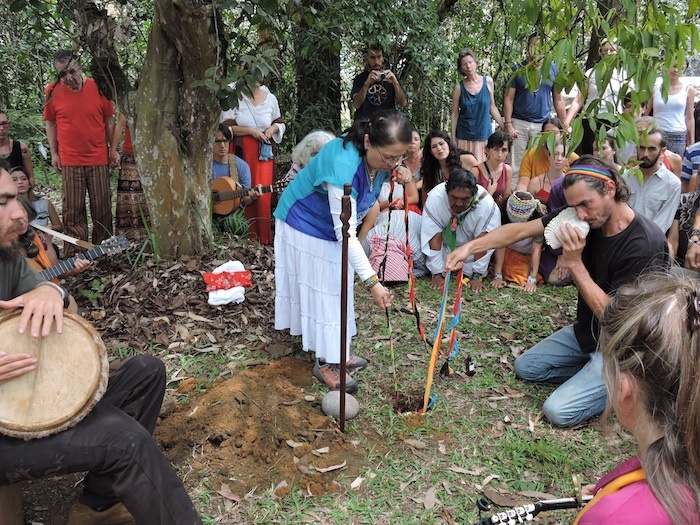 As soon as Jorge, Shabda, Darvesha and I placed the Vase in Mother Earth, every single person of the group put a full-hand of earth on the hole with prayers. 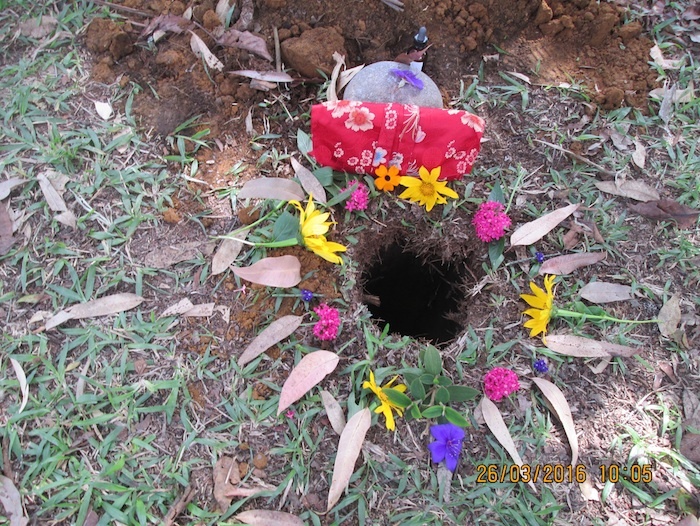 The whole group continued chanting the mantra until we filled the hole while I was repeating the “Prayer for the People of this Earth” by HH Dudjom Rinpoche.